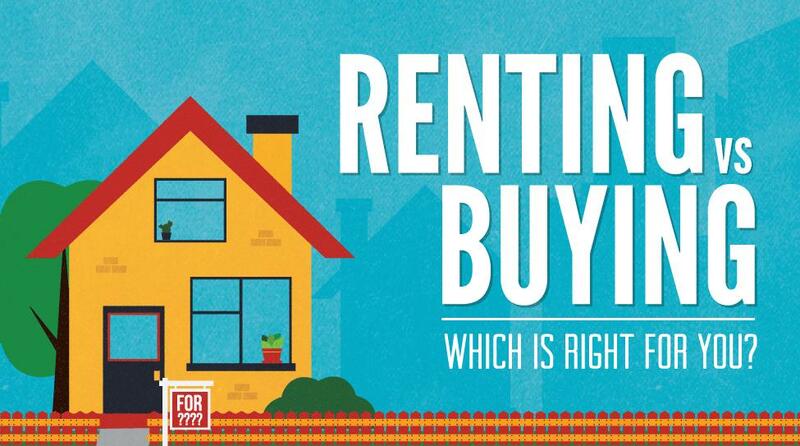 Rent or Buy!! Who is right?? Rent or Buy!! Who is Right? This is a discussion that has and will continue to be a debate in households across the country. Depending on who you talk to you should wait and save your 20% down payment. Most mortgage companies will offer approx 3.5% as a down payment, but you will have to pay PMI monthly. Which in simple terms is an insurance policy for the bank in case things go wrong? Let’s just say you don’t like renting and your goal is to buy a home. Now let’s use the average median price according to the (NAR) $217,900.00. At 20% down that's $43,580.00. Bureau of Labor Statistics (BLS), the median wage for workers in the United States in the fourth quarter of 2017 was $857 per week or $44,564 per year for a 40-hour work week. So let’s start with how long it will take to save $43,580.00 Again let’s do the math. Say you start with nothing and you save $300.00 per month and your bank gives you 1.5%..... Are you ready? 11 years! The flip side is you put down 3.5% which is $7626.50 and using everything the same it will take 26 months. Now I’m not going to explain how to calculate PMI and how that changes your payment. But here’s a website that breaks it down for you if you truly want to know. ((Calculate house payment) But roughly it is going to cost you another $50 - $75 per month. So paying that silly PMI every month you will save over the 9 years (because it only took 26 months not 11 years) $24,300.00. Here’s the other part of the Simple Math! Most Landlords will require 1st months rent and usually the same as a security deposit. If the average 3 bedroom rental cost $1500,00 per month that’s $3000.00. To come up with the rest of the money will only take 16 months. And we haven’t even covered the change in the interest rates. Every time interest rates go up it changes all the math. I’m not just writing this to convince people to buy. But if your goal is to buy instead of listening to all the debating sit down and do the Simple Math! Waiting more often than not is going to cost you way more than you could ever save! And by the way. Listening to the evening news talking every night about the doom and gloom. Or how wonderful everything it means nothing. If you buy what you can afford and you are not trying to buy to impress other people. You are going to pay someone money to live in a home. Don’t lose sight of the Simple Math! What is a short sale and how is it better than foreclosure?